We all know that I am an interiors shopping addict but this is why I love writing about my favourite finds because I get to share them with you. 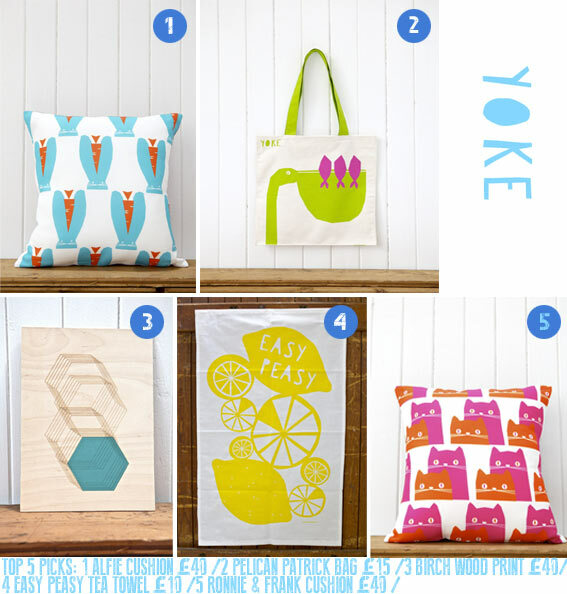 Scottish based store, Yoke, recently caught my creative eye with their quirky, colourful handmade designs. Many of their products are based on fun characters such as 'Pelican Patrick' or cats 'Ronnie & Frank' which is such a great concept. 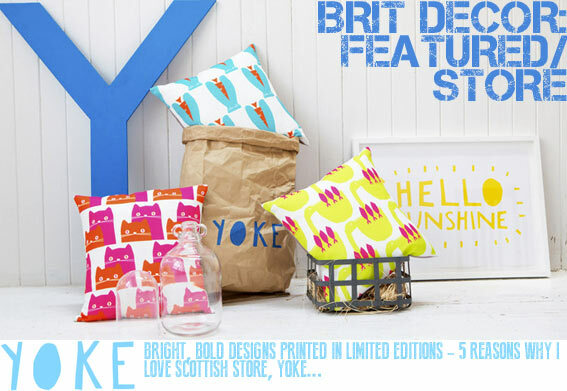 The designs are strong and the branding is looking great - I continue to be thrilled by so many exciting newcomers like Yoke, who really bring fresh new designs to the flourishing UK interiors shopping market. I hope you like their designs as much as I do - you can access the shop here. As difficult as it was to choose only five, I have listed my top 5 picks from Yoke below. What would be in your top 5...? Yoke are brilliant - lots of cheerful brights and playful names. Love it.